Guys! GUYS! Check it out! 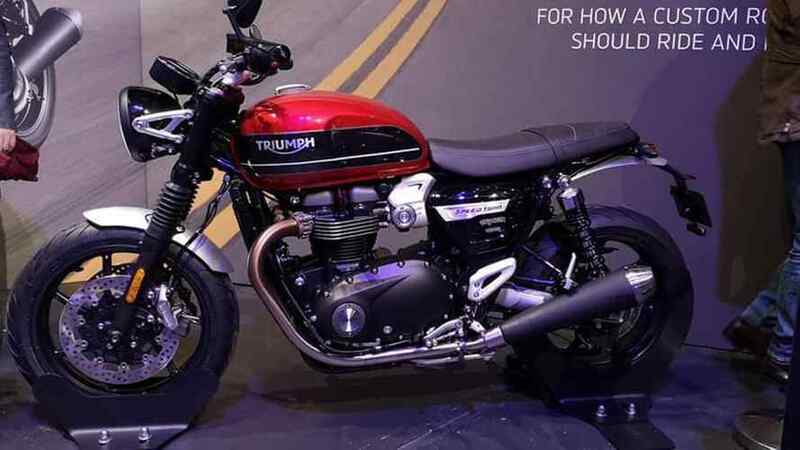 As I was perusing the good old interwebs today I found two leaked images of Triumph's new Speed Twin and, man, it looks preeeeeetty good. What is the Triumph Speed Twin and When Can We Have One? Named for the legendary Speed Twin 5T—a bike credited with helping Triumph survive England's garbage post-WWII economy—this new bike looks like what happens when a T120 Bonneville and a Thruxton love each other very much. There wasn't any real info to go along with the pictures but, as they say, a good picture is worth a thousand words. So, let's have a look and see what all the fuss is about. Nice, right? Looks like Triumph went back to the retro-modern well with this one and, to be honest, I really like it. It looks big and burly, broad-shouldered and well-proportioned. Very much like the Thruxton, in fact. The gaiters and big, round headlight give it a very mid-century feel, and the flat seat, small turn signals, and upswept exhaust give it a touch of the modern cafe racer/scrambler scene. The Speed Twin's engine is the same as the Thruxton's, a hi-po 1,200cc, 97 horsepower, water-cooled parallel twin. 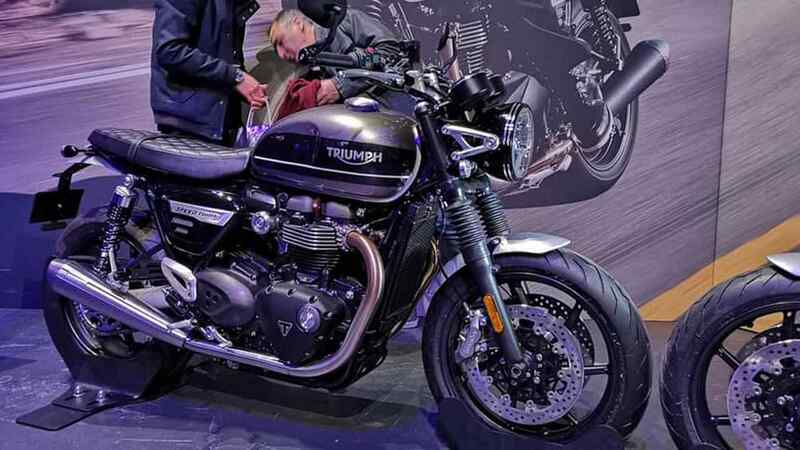 European type-approval documents released earlier in the year show that the Speed Twin is 20 to 30 pounds lighter than the stout Thruxton, which gives it a pretty respectable power to weight ratio. Since we're guessing here, I feel like the red bike is probably stock while the silver bike either has some aftermarket accessories—saddle, signals, etc.—or is an upmarket model. It also looks like there's some kind of cover just forward of the "Speed Twin" badged side covers that's hiding the EFI, an interesting design feature. Also, peep those cast wheels. That's a pretty modern touch in a line of bikes slavishly devoted to laced wheels. Sorry about all this guessing, but it's what we have so far. I bet we'll get all the details at EICMA 2018, so stay tuned. You'll find out more as soon as we do.